Dr. Safford went on to become the sole runner-up for Family Doctor of the Year for the whole nation. A native of Ohio who was born in 1923, he graduated from Dartmouth and Long Island College of Medicine. 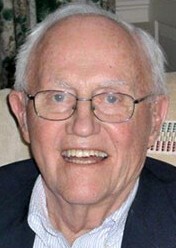 He came to Ridgefield in 1951 after service in the Navy, and practiced for 42 years. The national academy praised his work in training doctors through Norwalk Hospital, noting in 1985 that he was the only family physician in the state to be a director of continuing medical education at a major teaching hospital. He’d also been a member of the Board of Editors of Patient Care magazine. First appointed a medical examiner in 1961, he served in that capacity more than 40 years.